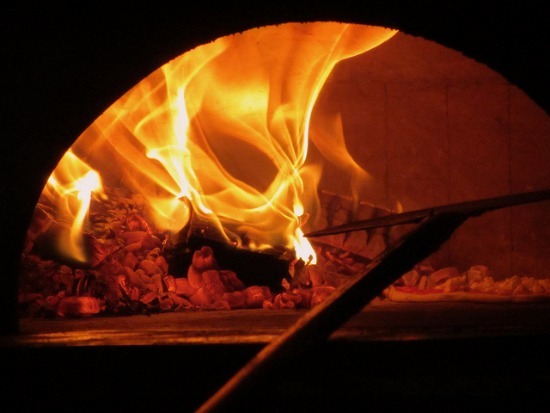 Discover the best pizzerias in Napoli, Italy! Napoli is the capital of pizza in Italy and home to some of the most famous and oldest pizzerias in Italy. 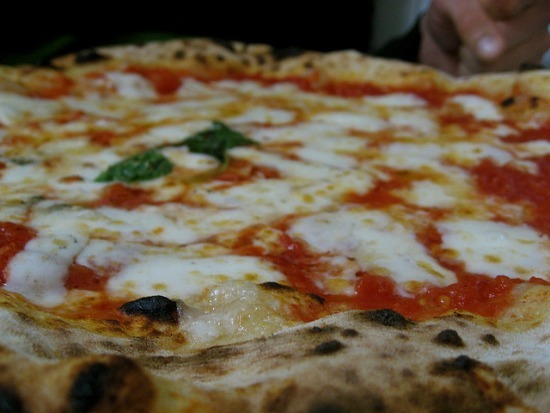 Enjoy the best pizza in Naples during your travels in Campania! 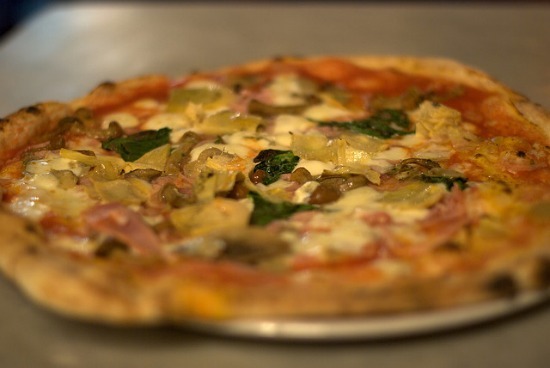 One of the icons of Italy, pizza is a favorite around the world. Everyone has their favorite with either thin crust or thick crust, tomato sauce or white sauce and all the choice of toppings. Travelers rave about the pizza in Italy, but there’s one place where pizza is king – Naples! Just what makes the pizza in Napoli — as it’s called in Italian — so special? It is generally considered as the birthplace of pizza, which is both an art and passion for the pizzaioli — the pizza makers — of Naples. The true Neapolitan pizza is defined by the quality of ingredients and the way it’s made following the rules established by the Associazione Verace Pizza Napoletana. 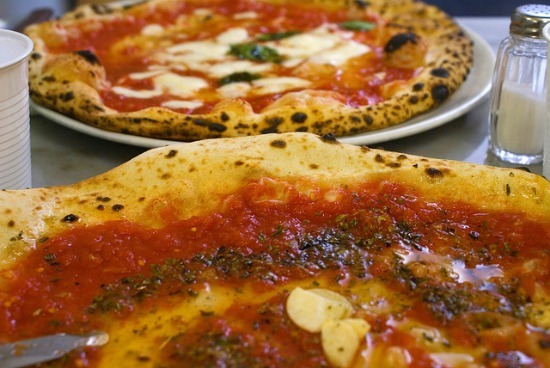 The most traditional Neapolitan pizzas you’ll find in pizzerias in Napoli are the marinara and the margherita. Simple and classic, the marinara is topped with a tomato sauce, garlic, oregano and extra virgin olive oil. The famous pizza margherita was created by the Neapolitan pizzaiolo Raffaele Esposito for Queen Margherita when she visited in 1889. The margherita is topped with tomato sauce made from San Marzano tomatoes, fior di latte mozzarella cheese, salt, extra virgin olive oil and fresh basil. Queen Margherita was said to have enjoyed the pizza and the name stuck – Pizza Margherita! At the most traditional pizzerias in Naples expect to find only these two classic types of pizza on the menu. Other pizzerias in Napoli will add all kinds of creative toppings to the traditional margherita. You’ll have to try them all to pick your favorite! Here are a few of the best pizzerias in Napoli where you can enjoy the traditional Neapolitan pizza. Founded in 1870, L’Antica Pizzeria da Michele is one of the most popular pizzerias in Napoli. It’s a favorite with Neapolitans and visitors alike, but it became a tourist destination for pizza lovers after being featured in the bestselling book and movie Eat, Pray, Love by Elizabeth Gilbert. While they only specialize in the classic marinara and margherita pizzas, people come from all over the world to enjoy the traditional Neapolitan pizza at Da Michele. Located not far from the National Archaeological Museum, the Pizzeria Starita a Materdei is famous for their traditional Neapolitan pizza. For film lovers, this pizzeria was also the setting for a movie, the 1954 classic L’oro di Napoli where the lovely Sophia Loren played an alluring pizzaiola. Stop in for a classic pizza or try one of their creative varieties like the pizza topped with smoked provola and zucchini flowers. Set in the heart of Spaccanapoli along the busy via Tribunali, you’ll spot the Pizzeria Gino Sorbillo from the crowd out front of this popular pizzeria in Naples. It’s worth the wait to try the pizza, which comes in the classic marinara and margherita and many other varieties. The hardest part is choosing which one to try first!